On October 1, the Virginia Department of Mines, Minerals and Energy released the McAuliffe administration’s rewrite of the Virginia Energy Plan. Tomorrow, on October 14, Governor McAuliffe is scheduled to speak about the plan at an “executive briefing” to be held at the Science Museum of Virginia in Richmond. Will he talk most about fossil fuels, or clean energy? Chances are, we’ll hear a lot about both. Like the versions written by previous governors, McAuliffe’s plan boasts of an “all of the above” approach. But don’t let that put you off. In spite of major lapses of the drill-baby-drill variety, this plan has more about solar energy, offshore wind, and energy efficiency, and less about coal, than we are used to seeing from a Virginia governor. Keep in mind that although the Virginia Code requires an energy plan rewrite every four years, the plan does not have the force of law. It is intended to lay out principles, to be the governor’s platform and a basis for action, not the action itself. This is why they tend to look like such a hodge-podge: it’s just so easy to promise every constituency what it wants. The fights come in the General Assembly, when the various interests look for follow-through. Renewable energy. Advocates and energy libertarians will like the barrier-busting approach called for in the Energy Plan, including raising the cap on customer-owned solar and other renewables from the current 1% of a utility’s peak load to 3%; allowing neighborhoods and office parks to develop and share renewable energy projects; allowing third-party power purchase agreements (PPAs) statewide and doubling both the size of projects allowed and the overall program limit; and increasing the size limits on both residential (to 40 kW) and commercial (to 1 MW) net metered projects, with standby charges allowed only for projects over 20 kW (up from the current 10 kW for residential, but seemingly now to be applied to all systems). It also proposes a program that would allow utilities to build off-site solar facilities on behalf of subscribers and provide on-bill financing to pay for it. This sounds rather like a true green power program, but here the customers would pay to build and own the project instead of simply buying electricity from renewable energy projects. Elsewhere in the recommendations, the plan calls for “flexible financing mechanisms” that would support both energy projects and energy efficiency. In case unleashing the power of customers doesn’t do enough for solar, the plan also calls for the establishment of a Virginia Solar Energy Development Authority tasked with the development of 15 megawatts (MW) of solar energy at state and local government facilities by June 30, 2017, and another 15 MW of private sector solar by the same date. Though extremely modest by the standards of Maryland and North Carolina, these goals, if met, would about triple Virginia’s current total. I do like the fact that these are near-term goals designed to boost the industry quickly. But let’s face it: these drops don’t even wet the bucket. We need gigawatts of solar over the next few decades, so let’s set some serious long-term goals for this Authority, and give it the tools to achieve them. Finally, the plan reiterates the governor’s enthusiasm for building offshore wind, using lots of exciting words (“full,” “swift,” “with vigor”), but neglecting how to make it happen. Offshore wind is this governor’s Big Idea. I’d have expected more of a plan. And while we’re in “I’d have expected more” territory, you have to wonder whatever happened to the mandatory Renewable Portfolio Standard that McAuliffe championed when running for office. Maybe our RPS is too hopeless even for a hopeless optimist. Energy Efficiency. Reducing energy consumption and saving money for consumers and government are no-brainer concepts that have led to ratepayers in many other states paying lower electricity bills than we do, even in the face of higher rates. Everyone can get behind energy efficiency, with the exception of utilities that make money selling more electricity. (Oh, wait—those would be our utilities.) The Energy Plan calls for establishing a Virginia Board on Energy Efficiency, tasked with getting us to the state’s goal of 10% savings two years ahead of schedule. But glaringly absent is any mention of the role of building codes. Recall that Governor McDonnell bowed to the home builders and allowed a weakened version of the residential building code to take effect. So far Governor McAuliffe hasn’t reversed that decision. If he is serious about energy efficiency, this is an obvious, easy step. Where is it? Natural Gas. Did I say offshore wind was the governor’s Big Idea? Well, now he’s got a bigger one: that 500-mile long natural gas pipeline Dominion wants to build from West Virginia through the middle of Virginia and down to North Carolina. Governor McAuliffe gets starry-eyed talking about fracked gas powering a new industrial age in Virginia. So it’s not surprising that the Energy Plan includes support for gas pipelines among other infrastructure projects. As for fracking itself, though, the recommendations have nothing to say. A curious omission, surely? And while we are on the subject of natural gas, this plan is a real testament to the lobbying prowess of the folks pushing for natural gas vehicles. Given how little appetite the public has shown for this niche market, it’s remarkable to see more than a page of recommendations for subsidies and mandates. Some of these would apply to electric vehicles as well. But if we really want to reduce energy use in transportation, shouldn’t we give people more alternatives to vehicles? It’s too bad sidewalks, bicycles and mass transit (however fueled) get no mention in the plan. Photo credit Ed Brown, Wikimedia Commons. Coal. 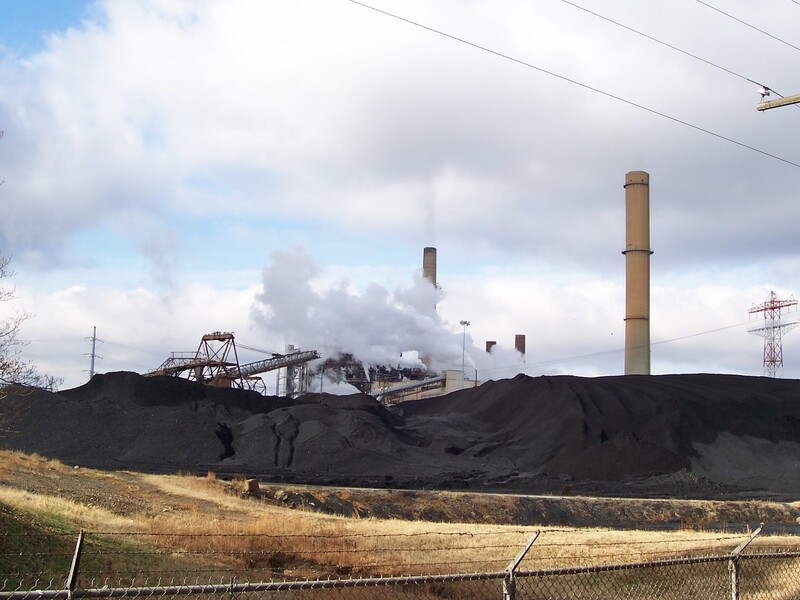 Coal has fallen on hard times, indeed, when even Virginia’s energy plan makes no recommendations involving it. Oh, there’s a whole section about creating export markets for coal technology, as in, helping people who currently sell equipment to American coal companies find a living in other ways. These might be Chinese coal mining companies; but then again, they might be companies that mine metals in Eastern Europe, or build tunnels, or do something totally different. The Energy Plan seems to be saying that coal may be on its way out, but there’s no reason it should drag the whole supply chain down with it. Good thinking. Nuclear. If you think the coal industry has taken a beating these past few years, consider nuclear. Nationwide, the few new projects that haven’t been canceled are behind schedule and over budget, going forward at all only thanks to the liberality of Uncle Sam and the gullibility of state lawmakers. But there it is in the Energy Plan: we’re going to be “a national and global leader in nuclear energy.” Watch your wallets, people. Dominion already raided them for $300 million worth of development costs for a third plant at North Anna. That was just a down payment. 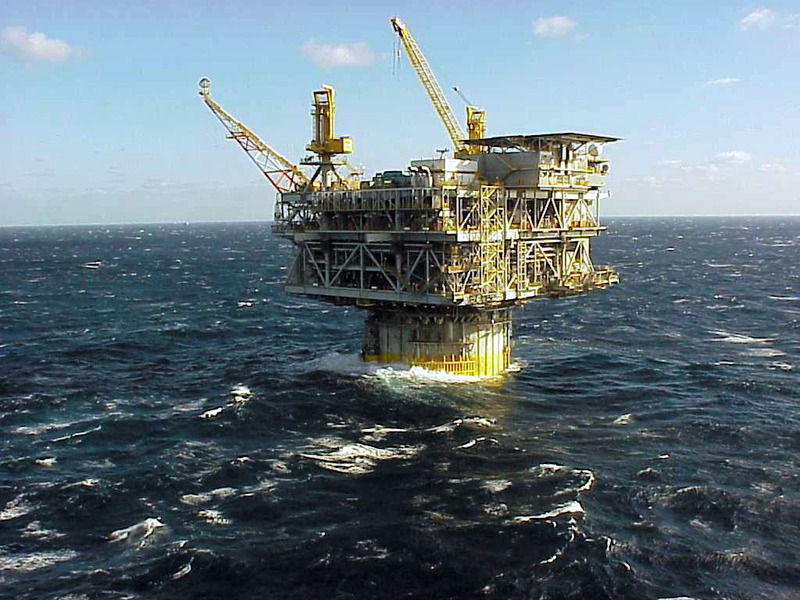 Offshore drilling. As with nuclear, favoring offshore oil drilling seems to be some kind of perverse obsession for many Virginia politicians. Sure enough, the energy plan says we should “fully support” it. As for the downside potential for a massive spill of crude oil fouling beaches, ruining fishing grounds, destroying the coastal tourism economy, and killing vast numbers of marine animals, the plan says we must be prepared “to provide a timely and comprehensive response.” I bet Louisiana was at least equally prepared. The Virginia General Assembly will soon wrap up its work on the 2013 legislative session. Renewable energy advocates began the session with high hopes for a series of bills that promised to reform our renewable energy law, expand net-metering, and open up new opportunities for financing solar systems and small wind turbines. So how did we do? Well, this is Virginia. Progress is slow, the utilities are powerful, and half the legislature doesn’t believe in climate change. On the other hand, they do believe in business. Under the circumstances, we did okay. Readers of this blog already know the long, miserable tale of Virginia’s weak and ineffective, voluntary renewable portfolio standard (RPS), which has enriched utilities with tens of millions of dollars in incentives without bringing any new renewable energy projects to Virginia. This year the legislature went halfway to fixing the problem. Legislation negotiated between the office of the Attorney General and the utilities will deprive utilities of future ill-gotten gains for meeting the RPS law, but won’t change the pathetic nature of the law itself. Stripping out the RPS incentives was only part of a bigger, more complex bill that sweetens the deal for utilities in other ways, so it’s hard to judge whether the legislation as a whole marks a victory for consumers. Skeptics will note that Dominion’s stock price has actually gone up several percentage points since the deal was announced, which you wouldn’t expect if the AG were correct that the bill will save consumers close to a billion dollars over time. What is clear is that the RPS remains as voluntary and as crummy as it ever was, but the utilities can no longer use it to rip off ratepayers while pretending to be good citizens. Some environmental groups consider stripping out the incentives a bad thing, on the theory that only by giving utilities a bonus can we expect them to meet the goals. Other groups (including the Sierra Club) believe Dominion, at least, will want to maintain its greenwashed public image by continuing to meet the RPS goals, and that ending the consumer rip-off is worth celebrating. Sure, if the goals had brought wind and solar to Virginia, the Sierra Club would have considered the incentives a tolerable price to pay. As it happened, Dominion and the other utilities continuously rebuffed efforts over the years to improve the RPS. Had Dominion approached the RPS as an opportunity to bring real renewable energy to Virginia rather than as a cash cow to be milked for its own advantage, the company would have saved itself a public relations fiasco and likely kept its bonuses, too. Surely, someone at HQ should be out of a job right now. Taking the long view, it is also worth noting that getting rid of the free money is a necessary first step towards a mandatory RPS in Virginia, which would unleash market forces for renewable energy that don’t emerge with a voluntary law. Utilities would oppose such a move more vigorously if they still had incentives to protect that were available only under the voluntary program. Bills to improve the goals should have passed the legislature this year as part of the reform package. HB 1946 (Lopez) and SB 1269 (McEachin) even received the support of Dominion Power for provisions that would limit most future purchases for the RPS to high-quality projects like wind and solar. What killed the bills seems to have been a combination of opposition from vested interests and sheer cussedness on the part of some Republicans, who were engaged in partisan maneuvers that had nothing at all to do with renewable energy. As usual, we are left hoping for better luck next year. Meanwhile, however, a couple of other RPS bills made incremental progress. Most notably, HB 1917 (Surovell) adds solar thermal energy to the definition of renewable energy; as of this writing it has passed the House and is on the Senate floor. There are more ways to support renewable energy than through an RPS, of course. One of my favorite bills would have required utilities and the State Corporation Commission to consider the long-term price stability of fuels used in electric power generation. HB 1943 (Lopez) would have helped price-stable wind and solar compete against notoriously price-volatile natural gas. It’s an idea that should appeal to fair-minded conservatives, so it’s a shame it hasn’t gained traction since first being introduced in 2012. However, it died in committee in the face of opposition from Dominion Power, which doesn’t want any interference with its plans for new natural gas plants. Two bills passed the legislature to allow some third-party power purchase agreements (PPAs) for wind and solar within Dominion’s territory. Under a PPA, an installer retains ownership of the solar equipment, with the customer buying the electricity that is generated. This arrangement has two primary advantages: the customer can “go solar” with no money down and no responsibility for the equipment; and in the case of a tax-exempt entity like a church or a university, it provides a way to access federal tax credits worth 30% of the system cost. The bills were designed to prevent a recurrence of a dispute that erupted in 2011 when a Staunton-based solar company, Secure Futures, installed a large solar system at Washington & Lee University under a PPA. Dominion issued “cease and desist” letters insisting that only it could sell electricity in its assigned territory. Although Virginia law is unclear on this point, the university and the solar company capitulated in the face of massive litigation costs. Since then Dominion’s army of lawyers has proven as effective as any statute in stopping further efforts to use PPAs in Virginia. The bills allow up to 50 megawatts’ worth of solar and wind installations using PPAs, in Dominion territory only, as a pilot program. Whether net-metered or not, they will be counted against the current net-metering cap of 1% of the utility’s generation. Tax-exempt entities can have a facility of any size up to 1 megawatt (500 kW if they net meter); taxable entities must have a minimum size of at least 50 kW (so no homeowner need apply). PPAs that do not meet the requirements are expressly prohibited in Dominion territory. A bill to allow agricultural net metering also passed this year. HB 1695 (Minchew) allows the electricity from a single solar, wind, or digester gas facility to be attributed to two or more electricity meters as long as they are all on the same property and have the same owner. Thus, for example, a farmhouse, barn and other out-buildings can all share in the benefits of solar panels on one of the buildings, even if each building is separately metered. Originally the bill would also have enabled community net metering, sometimes known as solar gardens, but the utilities opposed it. Bowing to political reality, Delegate Minchew scaled it back. The bill is notable, however, for making progress without including any provisions that seem capable of doing mischief. A note about all the bills: In Virginia, the governor can sign a bill, veto it, or send it back to the legislature with amendments of his own, so none of these bills are final as of this writing. More than 30 states have Renewable Portfolio Standards (RPS) to increase the amount of renewable energy their residents use. Renewable energy does not always cost more than conventional energy, but when it does, renewable energy certificates (RECs) may provide the means for making up the cost difference. Whether RPS laws work well, or whether they cost their residents money without providing a value, depends on how well the laws are written. Policy makers, industry watchdogs, and the public all need a basic understanding of how RPS laws and the REC markets work to ensure that the laws are actually serving the public. So what the heck is a REC? “REC” stands for “renewable energy certificate.” A REC is a way to monetize the environmental attributes of energy from a renewable resource, so the extra value can be bought and sold independent of the electrons that form the energy itself. As it happens, though, you can’t buy the actual solar energy her panels are producing. That electricity is powering her house, and any excess electricity is feeding into the grid through her meter. Once power is in the grid, it’s all just electrons. The electrons don’t look different whether they come from a coal plant or a wind farm or a solar array. So there is no way to identify and claim the specific electrons that come on the grid from specific solar panels. What you can buy from your neighbor is the right to say you’re running your house on solar energy, up to whatever amount of power her solar panels produce. This is the essence of a renewable energy certificate. A REC doesn’t represent electricity, but rather the extra value to society of that electricity having been produced by solar panels. So you continue to buy your electricity off the grid from your utility, and then you pay your neighbor something extra for the RECs. You are not actually using solar power, but you are paying for the right to say you are. Chances are, there won’t be any actual paper certificates involved. You will simply have a contract with your neighbor that states how much you’re paying her per kilowatt-hour. Your contract would also prevent her from making the same deal with any other neighbor, double-dipping by selling the RECs twice. It is a short step from there to creating a whole market for RECs as a commodity. If you were to stop buying your neighbor’s RECs, she could sell them to someone else, perhaps a “green” business that wanted to say it was running its store on solar power. The price would depend on supply and demand for renewable energy in your area. What’s a REC got to do with an RPS? Now let’s scale up our example and add utilities to the story. Your state, it turns out, has a Renewable Portfolio Standard (RPS), a law that tells utilities that they must obtain a certain percentage of their power from renewable sources. Utilities that own their own generation sources may choose to invest in wind, solar, biomass, or other renewable generation facilities, depending on what the law defines as renewable. Utilities that don’t own their own generation, or that can’t produce enough renewable electricity, have to buy that power from others. This is where RECs come in. When the utility offers to buy renewable power from someone who is generating it, it will want to buy the RECs as well. Buying the RECs allows the utility to demonstrate its compliance with RPS targets. Indeed, in some states, RECs are the only measure of compliance. If the utility has to go beyond its own service area to find enough renewable energy, the RECs can take on a life of their own as they get bought and sold independently of the power generated. If the state RPS law allows it, a utility could even buy RECs from a renewable power facility that isn’t part of the same regional transmission grid. In that case, the facility sells the power to its local utility, and sells the RECs to the utility that needs them for its RPS obligations. There is no longer any connection between the electricity and its renewable attributes. The REC market is important for making an RPS work, and it makes sense when the power generated is within the state that sets the RPS. But when a utility goes beyond the borders of a state, or even of its own service area, to buy RECs, the usefulness of the program to ratepayers declines, and the likelihood of double-counting and confusion increases. Let’s go back to our example of the two houses. You have a contract with your neighbor to buy the RECs from her solar panels. 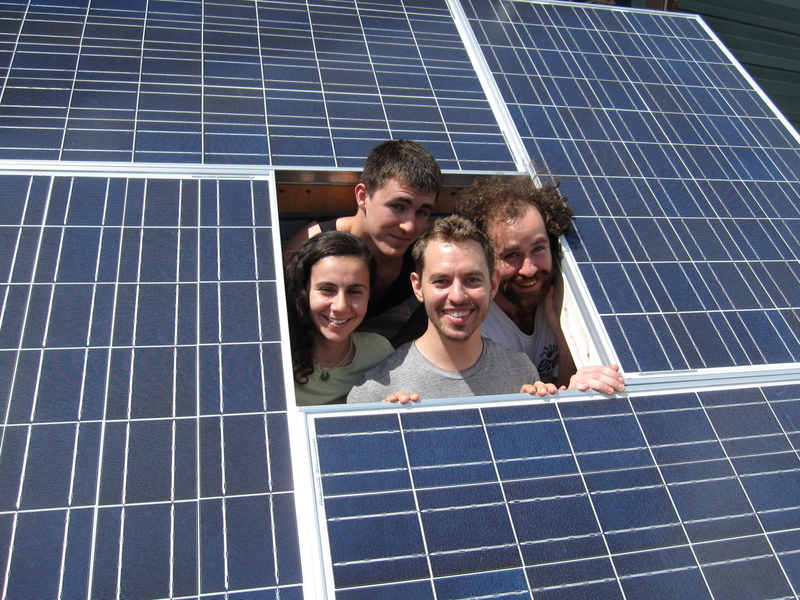 Buying the RECs gives you the right to say you are powering your home with solar power. But here’s the rub: now that you’ve bought her RECs, she doesn’t have the right to say she is powering her home with solar, even though the panels are on her house. After all, you can’t both claim the same solar power, right? You can see how easy it would be for double-counting to occur. She has the solar panels, you have the RECs, but there’s only one house’s worth of solar being produced. Now let’s scale up again to the utility level, where it can get really weird. No two states have the same RPS laws. Some states have strict requirements for what counts as renewable, some have looser requirements, and some have no RPS at all. Utilities want to spend as little as possible to meet their requirements, so they may buy and sell RECs to make sure that the most expensive RECs (usually from solar power) are being used to meet only the toughest standards. If a state doesn’t have a minimum requirement for solar, the utility will try to sell any solar RECs it’s holding to a utility in another state that requires solar, and then buy cheaper RECs (perhaps from landfill gas or older hydroelectric projects) to satisfy its own state’s less-stringent requirements. The result is just like the example of the two houses: a utility might own a big wind farm or a giant solar array, but if the state has no RPS or only a weak one, it will sell the RECs from that wind or solar facility to utilities in states that do have strong RPS laws. The utility that buys the RECs buys the right to claim that it is providing its customers with renewable energy. The utility that sells the RECs has sold the right to make that same claim. It may own a wind farm, and power from it may flow through its wires, but legally, it’s just selling electrons. This is not just a theoretical problem. Dominion Virginia Power does precisely this when it advertises its West Virginia wind farms as producing power for Virginia. In fact, it sells the RECs to utilities in other states that have tougher RPS laws than Virginia’s. In this case, Virginia is getting neither the benefit of the wind jobs nor the right to say it is using renewable energy. Meanwhile, the ratepayers in the state with the tougher RPS, who pay for those RECs, are getting the bragging rights and paying the bill, but they are not seeing the clean energy jobs that the RPS incentivizes. Only West Virginia gets those jobs, along with the actual wind farms. The ratepayers are like the owners of the two houses. People in the state where the renewable energy is produced may think they are getting renewable energy, but so do the people in the state whose utility is buying the RECs. Customers in the state with the tough RPS are paying for the renewable energy to be produced, but the benefits—jobs, economic development and cleaner air—go to the state where the project is. They are told they are buying renewable energy, but if they understand what is happening, they might well feel like chumps. What does a good RPS look like? The problem we just described is why a well-crafted RPS will limit out-of-state RECs purchased separately from the power itself. It is in the interest of ratepayers to create a market for renewable energy in their own area, so jobs are created close to home, and so nearby dirty energy sources are displaced by clean energy, resulting in healthier air and cleaner streams and rivers. An effective RPS will also include “carve-outs” (minimum levels) for higher-value types of renewable energy like wind and solar that may cost more to produce than biomass, landfill gas, or hydro. Creating demand for wind and solar supports higher prices and can make a project economically feasible when it wouldn’t be otherwise. Again, stimulating these investments means jobs and economic development in the state as well as cleaner air and water when older, dirtier facilities are shut down. The worst RPS laws are ones that allow RECs from energy that isn’t really renewable (like coal-bed methane), from projects that don’t actually produce energy (like research and development), or that would be produced anyway (like energy from facilities that pre-date the RPS law). Giving credit for these kinds of power devalues the RECs from new and truly renewable projects and undercuts the economic incentives that can make new investments in renewable energy possible. What does this mean for policy-makers and the public? Don’t be fooled by appearances. If your state’s RPS can be met with out-of-state RECs from old hydro plants, don’t assume it’s being met with energy from that new wind farm or utility-scale solar array you’ve been reading about here in your state. Those RECs are being sold somewhere else. The only way to find out what you’re paying for in your state’s RPS is to require your utilities to disclose the sources it is using—and then check. Looser requirements are not better. A kitchen-sink approach to what qualifies as renewable energy ends up being counter-productive because the cheapest sources will always be chosen over higher-quality projects. Mandatory vs. voluntary RPS lawsIn most states, the RPS is mandatory; utilities that don’t meet the targets are fined by means of an “alternative compliance payment.” In Virginia, which has a “voluntary” RPS, utilities are free to decide whether they want to participate in the program. There is no fine for failing to meet the goals; instead, utilities are rewarded for meeting them, by being allowed to earn a significantly greater profit on their sales of electricity. Since this means charging ratepayers more, this voluntary RPS will cost ratepayers more than a mandatory RPS for the same amount of renewable energy incentivized. Virginia’s all-carrot, no-stick approach ensures that no utility declines to participate because it costs them nothing to do so (all the costs of compliance are passed through to the consumers), while generating bonus money. The “voluntary” nature of the program is therefore meaningless—and after all, it is mandatory for the ratepayers. Mandatory RPS laws, requirements that the energy be produced in state or that RECs come “bundled” with the energy they represent, stricter standards for what counts as renewable, and carve-outs for wind and solar all produce the most value for the residents who are paying the bills. Your neighbor will likely enter into a “net-metering” arrangement with your utility, under which she feeds extra power into the grid on sunny days but draws electricity off the grid at night and on cloudy days. Most states now have laws allowing net-metering, but details differ. Although states are increasingly limiting their RPS programs to in-state RECs, there is some question whether doing so, at least for mandatory programs, could violate the Commerce Clause of the U.S. Constitution. See, e.g., Elefant and Holt, “The Commerce Clause and Implications for State Renewable Portfolio Standard Programs.” Clean Energy States Alliance, March 2011.